Cattle Landing public boat launch. 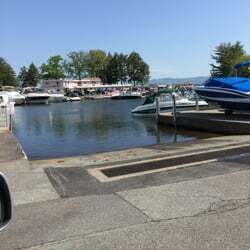 The Cattle Landing Docks also have a 3 hour docking limit and no boat trailers are to be parked in the vehicle parking lot. Town Docks – Route 25, Center Harbor. $15 Fee Charged, no fee for town residents. Town Docks – On Main Street by the town docks. No fee.